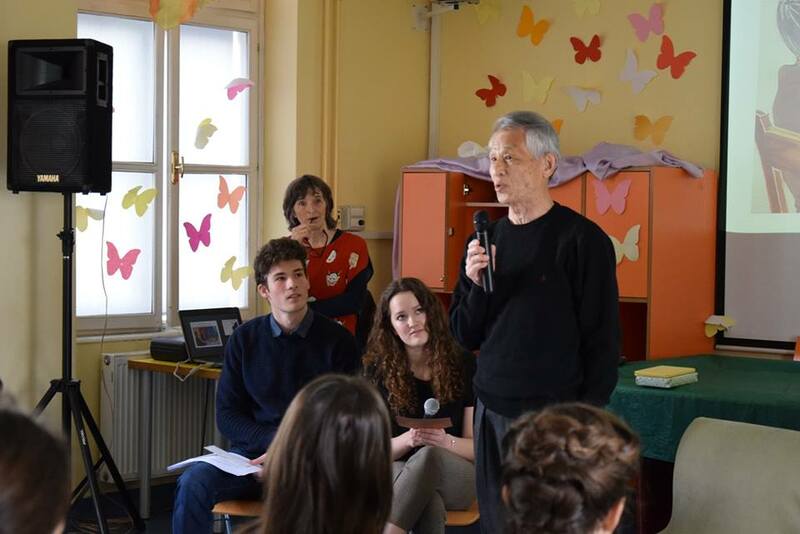 Takeaki Hori paid a visit to St. Stanislav’s institution on 27th March 2019 to talk to third years and student writers of school’s literary magazine. Mr Takeaki is a professor at Fudjivara Joshiharu University, journalist, Japanese PEN ex-president, haiku researcher, anthropologist and environmentalist. Firstly, Mrs. Ifigenija Zagoričnik Simonović, the Slovenia PEN president, presented PEN international and its mission. PEN is an international organisation of poets, essayists and novelists, (more and more journalists are joining in), which was established in London, 1926, after the World War I, to help novelists who were in detention or were persecuted. Each year an International meeting is organised in Bled, Slovenia. Literary artist and PEN members from different countries discuss contemporary world situation, related issues and enjoy the calm environment of natural beauty.